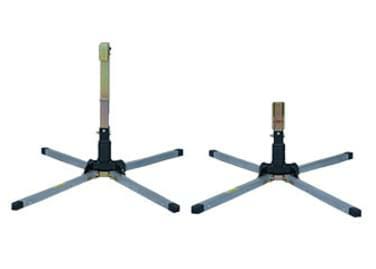 The TrafFix sign stand is designed with telescoping legs which create a wider stance for added stability in high wind situations. Just pull the legs out when needed, and return legs back to original position for storage. 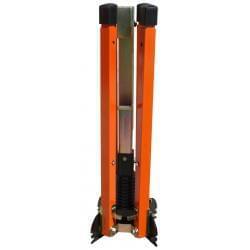 The stand can also be adjusted to 3 height levels, depending on your particular situation. 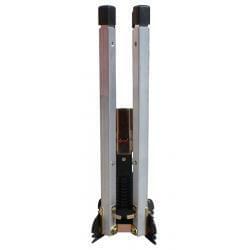 Each leg can also be independently adjusted for greater stability on uneven terrain. All TrafFix sign stand models are available with a 10" height extender and a Universal Sign Holder: The 10" height extender adapts to the stand for added height, or where maximum sign height is required without raising the legs; while the Universal Sign Holder allows the TrafFix sign stand to accomodate any manufacturer's roll-up signs. 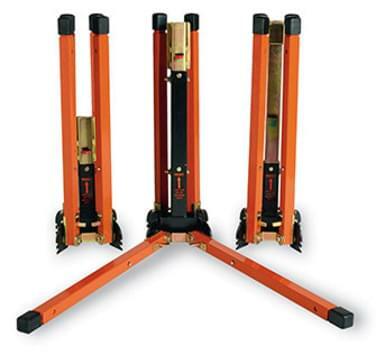 Each TrafFix Sign Stand model is equipped with the TrafFix Step-N-Drop leg release system? 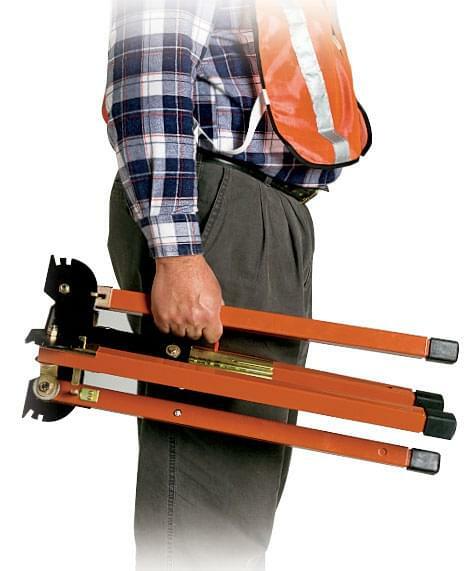 Each TrafFix Sign Stand Model comes complete with TrafFix Step-N-Drop leg release system. 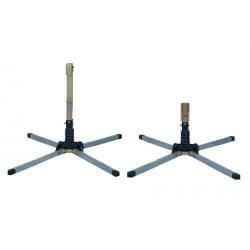 A two position leg adjustment allows all four legs to be individually adjusted for uneven terrain. 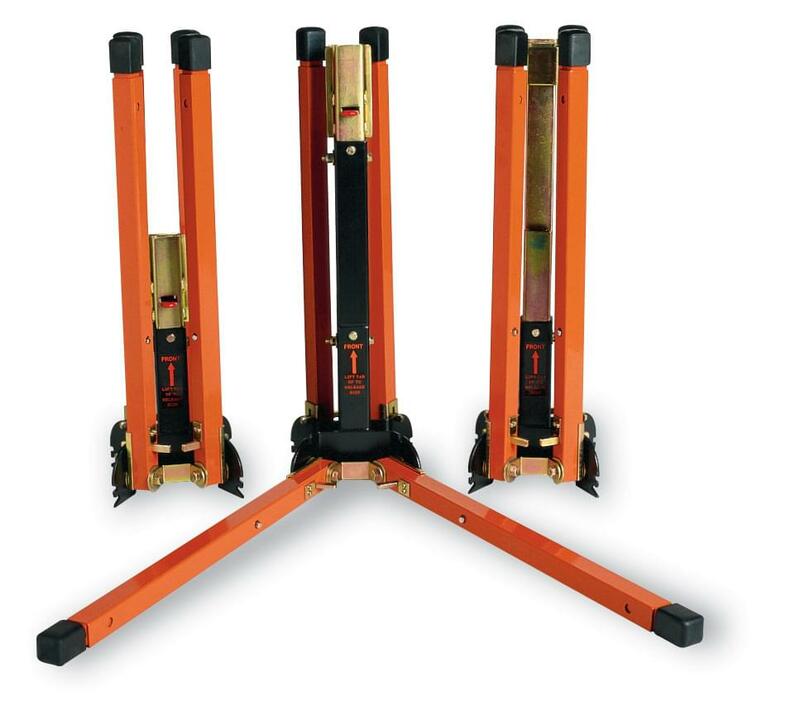 Each and every TrafFix Sign Stand is designed with unique Step-N-Drop Legs, this highly advanced feature enables you to quickly set-up the stand without having to bend over or stoop down. Simply place your foot on the release lever, step down and two legs will drop into position. Repeat the process for the remaining two legs and you are ready for the sign. 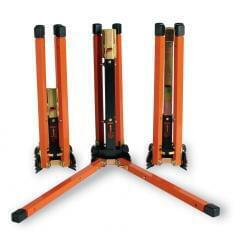 The Step-N-Drop leg release system is also available on all 4 legged sign stands from TrafFix Devices. The TrafFix Sign Stand is compact, easy to carry and stores in small areas. 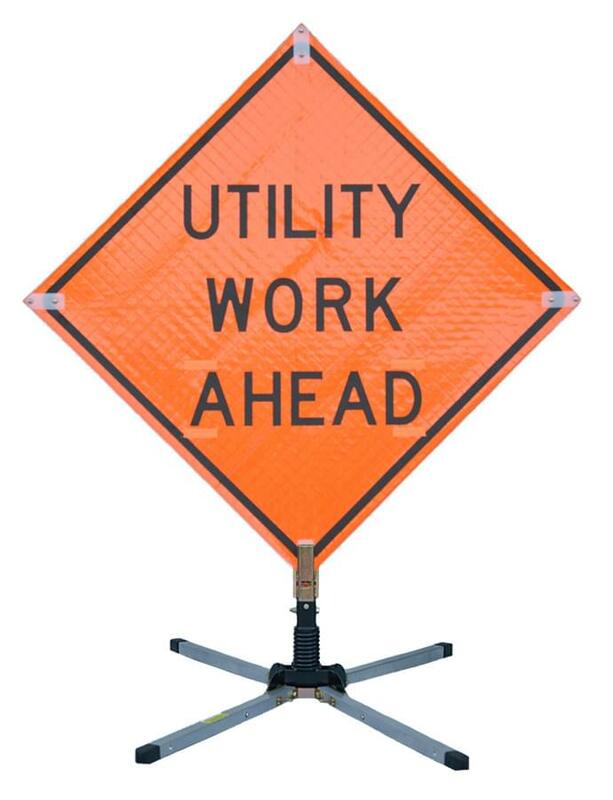 TrafFix sign stand's tip resistant design effectively spills wind and holds a 36" x 36" or 48" x 48" roll-up sign securely without heavy springs or a bulky mast. 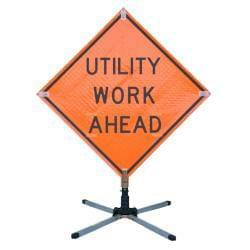 All parts of the TrafFix Sign Stand can be easily replaced and a complete parts list is included with each stand. For those extra windy applications, TrafFix Devices offers the single spring sign stand. 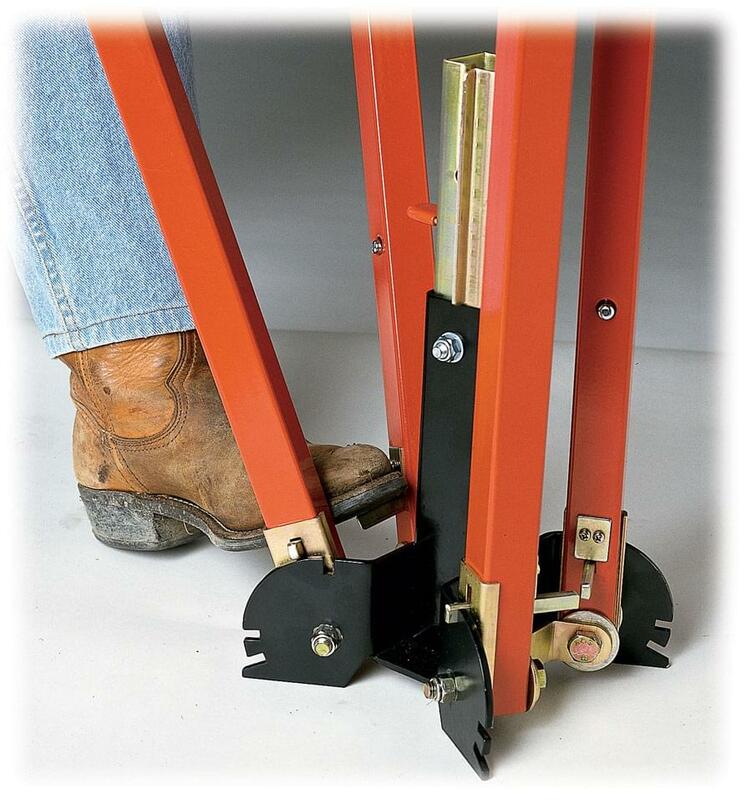 In addition to the features and benefits listed above, the TrafFix Single Spring sign stand comes with the traditional latch bracket connector or the Universal Sign Holder. The traditional latch bracket connect is used with plastic corner pockets, while the Universal Sign Holder is ideal for sewn corner pockets and other manufacturers roll-up signs. Each TrafFix Sign Stand can be equipped with a Rigid Sign Adapter, this single spring adapter converts a TrafFix stand for roll-up signs into a stand that will accommodate a 36" x 36" rigid sign. Simply drop the custom latch bracket connector into the sign stand to lock in place. 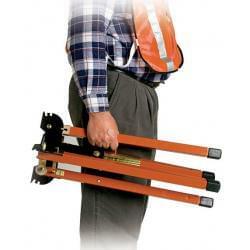 For those applications that require lightweight portability with superior corrosion resistance. With its all aluminum construction, the Aluminum Leg TrafFix Single Spring sign stand is lightweight and resists corrosion and rusting. 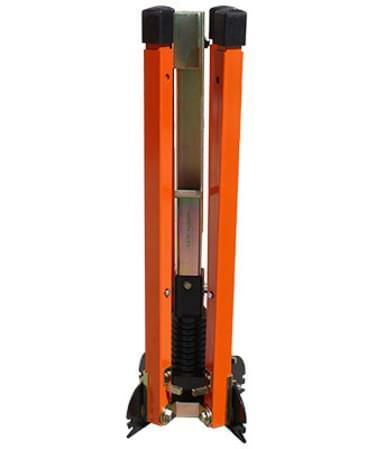 The telescoping mast, with adjustable rigid or roll-up sign brackets, allow for variable sign height adjustments. A single spring is mounted to the base for added stability from passing traffic and during high winds.